The Prospect Spelling Stingers are ready to sting! PROSPECT HILL~ Last year Hutchinson Elementary school started a spelling bee club, and their club was so successful, that the other elementary schools in the Pelham decided to start their own clubs. Mrs. Julie Libersohn and Mrs. Linda O’Meara are the Queen Bees of the fourth and fifth grade spellers and Mrs. Garcia is the Queen Bee of the second and third graders. The current fourth grade spellers are Gianluca Polenzani, Alexander Shekane, Benjamin Sze, Catherine Lyons, Stella and Adrian Winter, and Brandon DeRogatis. 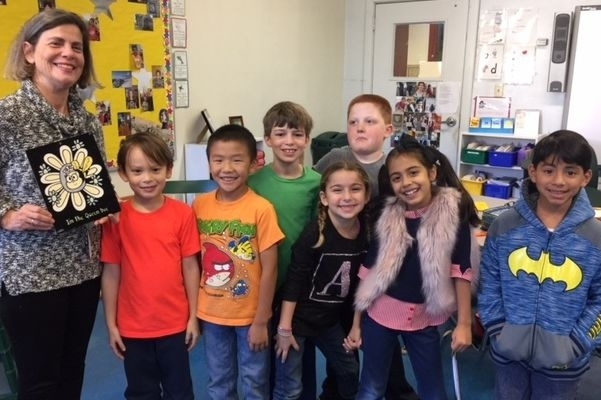 The second and third grade team includes Matthew Sze, Conrad Marrero, Alexa DiDomenico, Luca Nguyen, Julie Sakhrani, Frankie Hinton, Markos Gjoka and Jackson Tipple. The group will meet weekly to do word work and practice “bees.”The 2nd and 3rd graders will compete in an in house bee at the end of the enrichment in March.The 4th and 5th graders will compete in an in house bee and the top 3 spellers will compete in a district bee in the spring. When asked, Mrs. Garcia said, “The PTA asked if I wanted to do it, and I just said yes because I love to spell.” This is her first time doing a bee. “This is my first day doing it, and I really like it!” Mrs Garcia said. The bee is a great way to make us better spellers. Get ready for the next bee!! !